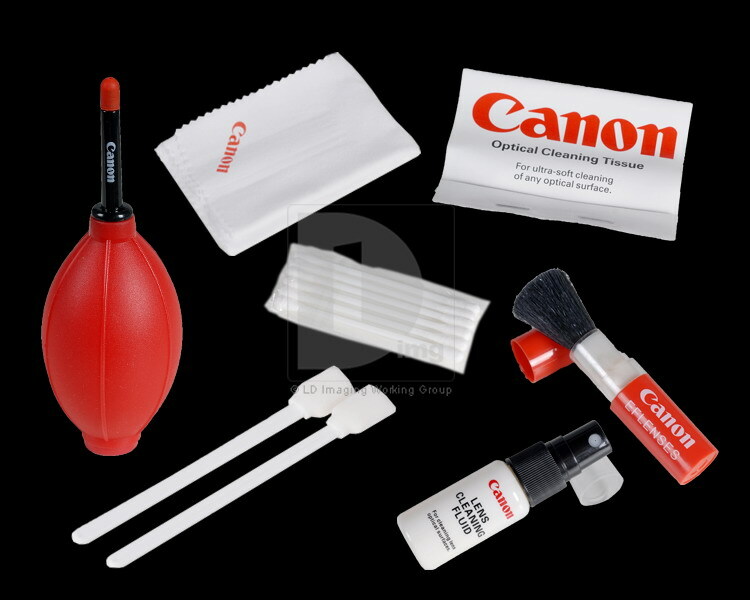 Designed for photographers on the go, this cleaning kit from canon is perfect for keeping lenses free from dust and grime on a daily basis, and for removing difficult spots from lens surfaces, complete with a soft retractable brush, lens cleaning fluid, microfiber cloth. Lens tissues and a sturdy plastic case, this kit is ideal for anyone who needs a practical lens cleaning solution that fits comfortably in any camera bag or coat pocket. Use air blow to remove large particles of dust, can scratch the lens and the coating to prevent dust, prolonged use, there may be a small amount of air blowing external stains, apply a small of neutral Canon clean cloth and warm water cleaning solution can easily go in addition to stains. Ideal for removing smudges or fingerprints. Scientifically designed fibers clean more efficiently than standard cloth materials. Extra thick、soft and Safe for all lenses and LCD screens. A few drops of lens cleaning fluid on a piece of tissue is the recommended way to eliminate hard to remove spots, such as dried water marks, heavy smudges or oils, from the lens surface, the lens cleaning fluid has been specially formulated for use on multi-coated lenses and filters. Premium grade lens tissue meets federal specification NNN-P-40B. The surface of the CCD is extremely fragile, so you should not depend on the common wiper or swab to clean it. CCD Swabs specially designed for cleaning CCD chips and other delicate or hard to reach optical and imaging surfaces. CCD Swabs are also ideal for cleaning other recessed optical and imaging surfaces. The products will cause no damage to the CCD or CMOS sensor when used in accordance with the instructions.